Everyone has a need for legal services at some time in their lives. When your legal need involves your family or personal finances, you’ll want to find help right away from attorneys you can trust to represent you well and achieve outstanding results. 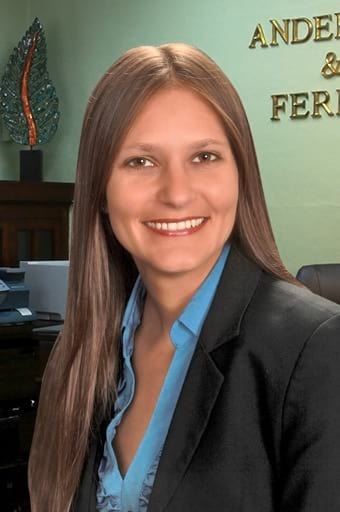 At Anderson & Ferrin, Attorneys at Law, you’ll find a team of seasoned Orlando litigators who’ll fight hard for you – as hard as we would fight for our own family. Our law practice focuses primarily in the areas of family law and bankruptcy for Orlando families. Our top-rated Orlando divorce attorneys have decades of combined experience and collaborate in a team approach to provide you with the highest quality of legal services. In addition to providing excellent legal representation, we make it a priority at our firm to be responsive to our clients. We are always here when you need us, ready to answer your questions, keep you updated and informed, and make sure you are getting the legal service you need and deserve. Child Custody – Decisions affecting children are among the most emotional and highly-contested family law issues. We’ll make sure your rights are protected and that your interests are considered along with the best interests of the children when deciding timesharing and the division of parenting responsibilities. We handle interstate custody issues as well as post-divorce modification requests and enforcement actions. Divorce – Count on Anderson & Ferrin, Attorneys at Law, to help you find the best solution to your marriage’s dissolution, including contested and uncontested divorces, complex property division, and divorce later in life. We’ll represent your interests in every aspect of divorce, including child custody, child support, property division and spousal support. Domestic Violence – Harassment, threats, intimidation or actual violence from a spouse, family member or romantic partner are some of the scariest forms of abuse. We’ll help make sure you are safe and protected and guide you through the process of obtaining a protective order. Our Orlando family law attorneys help with all forms of injunctions for protection under Florida law, including domestic violence, repeat violence, sexual violence, dating violence and stalking. We also represent individuals who are falsely accused of domestic violence and help make sure unfounded allegations aren’t used to hurt them in a divorce or child custody dispute. Paternity – Determining a child’s parentage is critical to establishing the right to custody, timesharing and parenting, as well as the obligation to pay child support. If you were unmarried when your child was born, or if the child’s paternity is questioned for some other reason, we’ll walk you through your options and support you through the process of seeking or opposing a paternity action. Dependency – DCF can show up and remove a child from your home in the blink of an eye, putting a chain of events into motion which can result in an out-of-home placement and termination of your parental rights. You have rights in this process, but you must act quickly to preserve them. We’ll fight hard to put your family back together after unfair allegations of abuse or neglect have torn it apart. Prenuptial and Postnuptial Agreements – Protect the property that’s most important to you, or put protections in place to make sure you are taken care of in case of divorce or the death of your spouse. A prenuptial agreement can help ensure neither party is taken advantage of in divorce, or that children from a previous marriage have their inheritance protected. Financial disclosures made during a prenup help ensure you enter marriage with your eyes open and with a clear understanding of what you both expect during your life together, for better or worse. Step-Parent Adoption – Nothing makes us happier than helping a family grow through adoption, bringing together loving parents with kids in need of a loving home. Adoptions can be tricky and expensive and not always successful. We’ll remove the mystery and help you obtain a successful adoption smoothly and efficiently, including dealing effectively with any issues which arise along the way. Chapter 7 – Get a discharge of your unsecured debt such as doctor bills that have piled up or credit card debt that has grown unmanageable. Often we are able to obtain a “no asset” bankruptcy for you, meaning you will not have to sell off any property in order to get rid of debt and make a fresh start. Chapter 13 – Save your home from foreclosure by catching up on missed payments and getting your mortgage out of default while creating a plan that enables you to pay off your debt over a three or five-year period. A Chapter 13 bankruptcy may even be used to strip away a second mortgage when you are already upside down or under water on your first mortgage. We can help get your mortgage balance down to an amount that more closely reflects your home’s actual market value. Short Sales and Mortgage Modification – We’ll help you keep your home by negotiating a loan modification or workout that you can afford and keeps the bank at bay. When keeping the home simply doesn’t make sense anymore, we’ll help you avoid foreclosure and a deficiency judgment by negotiating a short sale with the bank or exploring other exit strategies. We understand that in many cases, family relationships and dynamics continue in one form or another long after a divorce is final. Our goal is to help you achieve your divorce or resolve your other family law matter as efficiently and amicably as possible, but always with your best interests in mind and your rights fully protected. Call our Orlando divorce attorneys for a free consultation to find out how we can help you. We offer weekend or evening meetings by appointment as needed, and both English and Spanish are spoken in the office for your convenience. We serve clients throughout Orlando and surrounding areas and are ready to help you. 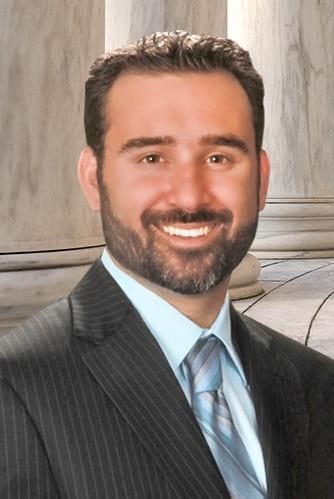 Let our family help yours with your important Orlando family law and bankruptcy matters.